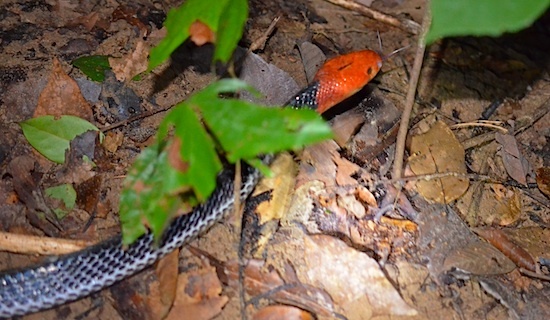 A deadly Thailand snake, the red-headed krait (Bungarus flaviceps). These are extremely rare. I often receive email from people that are deathly afraid of venomous and other snakes in Thailand. Some people refuse to visit the country after finding a website like ThailandSnakes.com. They get the idea that snakes are rampant all over Thailand and that they are unavoidable. The truth is much different. You are not likely to see any snakes in Thailand during your visit. Even if you go looking for them, snakes are difficult to locate. The other night I went out for over three hours in the heart of snake country, and still didn’t find any snake. Anyway, here is an email I just sent to someone to help allay fears of snakes in Thailand. 1. They have no legs or arms. They are basically a long tail. They cannot move fast on the ground, I mean fast in comparison to humans. We can easily outrun any snake that exists. 2. Only the very large pythons in Thailand might target a human being as prey. Everything else gets away as fast as possible – even when confronted. 3. There are about 8 deaths per year due to venomous snake bite in Thailand. Probably every one of them are plantation workers that get bitten, apply some “magical salve” made of ground leaves and roots, and then, when they realize their foot or hand is gangrenous – go to the hospital too late. Occasionally a snake handler is bitten and dies – they tease the snakes mercilessly, day after day, and eventually a snake gets in a lucky bite. 4. You have to really piss snakes off before most of them will bite… or, be too close. So, don’t get close and don’t aggravate them. I have never heard of a tourist, visitor, foreigner, being bitten by and killed by a deadly snake in Thailand. People have cobras in their yard, vipers, whatever else… the snakes do NOT want to see humans and will get away at every opportunity. Just be cautious walking in grass outside. Don’t walk anywhere you cannot see where your feet are stepping. If you see a snake in your yard – grab a photo, send it to me, and I’ll let you know if it was venomous. If so, and you see it again and can watch where it goes – call the EMS or police in your area, and they’ll know the snake guys that can come take it away for you. If you’re bitten by a snake, stay calm and go to the hospital. Venom usually takes hours before you’re debilitated. Wait to see if symptoms even develop. A good portion of bites don’t include envenomation. They are dry bites, so to speak. Little or no venom is released through the fangs during a dry bite. There have been studies done with cobras and vipers that show that 30-50% of bites are dry bites, even when the snake is directly stepped on. Hope this helps. I’ll repost it at the thailandsnakes.com site. Maybe it will help someone else relax a bit about snakes here. Great site for info and identification of Thai snakes. I’ve seen a lot during my time here in Thailand, some of them too close for (my) comfort – hanging out in my tomato plants and one in my cat house! 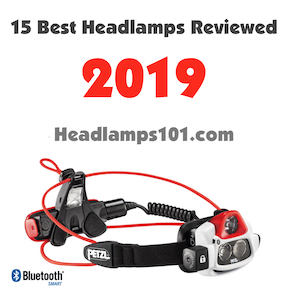 Do you have a list of recommended hospitals to go to in case of bite? Up here in Chiang Mai I honestly wouldn’t know which hospital to head to, there’s so many. Do they all have supplies of anti-venom? That would be great information to have. I’ve heard that the Russell Viper is one of the most deadly ones up here, and you have about half an hour to get to a hospital… so getting to the right one is crucial. Thanks for writing. With any venomous snake bite, you might have anaphylactic shock and die within minutes. Still, so few people are bitten by venomous snakes in Thailand. I think there is an International Hospital in Chiang Mai. If they didn’t have the anti-venin, they can get it from a hospital that does – quickly. There is an average of about 8 people per year that die of snakebite in Thailand. Most are because they don’t go to the hospital quickly enough. Russell’s Viper isn’t known to be common in Chiang Mai – have you heard that it is? I’m born in Thailand, and have seen quite a lot of species but sometimes I see a snake that isn’t in my snake book, A photographic guide to snakes and other reptiles of Thailand, peninsular Malaysia and Singapore. Do you know a guide with more snake species? Is A Field Guide to the Reptiles of South-East Asia a good one? Yes, that’s a good one too. I have both of those. If I can’t figure out which snake I have, I use the google image search. I usually know whether the snake is a kukri, cat snake, keelback, or whatever it is, so I use google images to browse through and see if I find one that is like my snake. I always add “thailand” to my search so I don’t get results from all over the world, just here. Thanks for the help. I usually also know if a snake is a cobra ratsnake or keelback ( ive seen 38 species)I live in the north east so what kind of place would be the best to find a Malayan pit viper? I’ve never seen one yet but they are very beautiful. Oh, and is your Thailand snake list almost finished? Ive been waiting for it some time now..
We are planning to trek Khao Yai for three days/two nights sleeping in hammocks. We have had pet snakes (ball pythons) but I am am terrified of an unknown-possibly-poisonous snake. We lived years in west Africa and have avoided confrontations, but have seen snakes in unlikely places. Always wore over-the-ankle hiking boots when trekking. Any advice re Khao Yai?? We had planned to wear ankle-high hiking boots for luggage weight ; but perhaps higher boots and long pants? would be advisable? First i didn’t saw him – as i not expected this. by opening my door – outerside – i believed to see that something was moving, slightly. As i was interested in what was moving …. Tjakkaaaa…. ” Freddy a Golden Tree snake ” was attempting to visit my room, by broken window. As outerside wooden pallets were stalled against the wall, he was moving on the richel of the pallet… Moment i saw him, he turned his head and created also for servicing him self a good view, who was watching him. I walked inside house, grabbed the camera and made some pictures. Stunning moment as he wasn’t ready to change his mind. 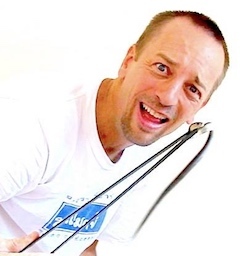 I came to your web info pages, i will thank you for your clear help and assistance for getting the in Thailand living Snakes better understood. As we have an unwanted guest under our roof ( a TOOKEH ) we tried already on many ways to get rid of this sensational animal… as it will atrack snakes i believe… or do i understand this wrong ? All is most welcome and in case of urgency… your serviced info ” how to handle ” is most apriciated…. I’m currently in a small village outside of Phitsanulok Thailand for an extended period and the other day we found a snake on the side of my house. The locals call it a singa and said it was venomous and extremely dangerous. I seem to not be able to locate a snake called singa and I have search extensively. What kind of snake it is (the real name)?. And secondly is it really that dangerous? It’s the 3rd time the same kind of snake has been in the yard so I am really curious. I sent you email. 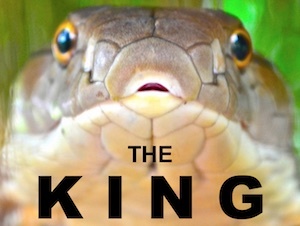 Ngoo sing is the Indo-Chinese rat snake. There’s no telling what snake the locals are calling that, so it could be a monocled cobra – most people are clueless, local or not. 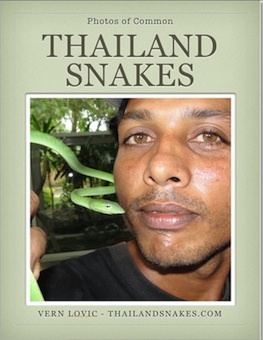 Pick up the free ebook I offer – Common Thailand Snakes at the homepage, left column, scroll down a bit to see the book. Click it. Get it. See if you can ID the snake. Or, better yet, just get some photos and send to me here. Cheers man. Good luck. Many snakes here in Chi Long. Caught the neighbor trying to kill a fairly rare snake while he was telling me it was dangerous. Small & black.,,, red markings as if it had two heads. A little lao and I stole the snake and set it free, I don’t know if it lived or not. Daughter was bitten by a Green Pit Viper about a year ago, not a terribly venomous snake but the size was impressive. Fang spread was about 3.8 cm. Yesterday, while I was in the shower,,,, a Ngoo Singh of rather large proportions was trying to get through a fence. Uncle caught it and released it out at the rice paddy. A small cobra struck my motorcycle one time, and I about had a heart attack when I rolled up on a large one in the dark sleeping in the road. Yes there are snakes here. As the author stated, “Don’t walk in grass or shrubbery where you cannot see your feet”. Very good advice. My old roommate is a vet who handles birds and reptiles, so large pythons at the house/office were common. I was more afraid of a tough little conure he was treating for lead poisoning. I was struck by a Pacific rattlesnake (dry bite) in Palos Verdes, Ca one time. I have moved rattlesnakes away from my Northern California cabin. The only aggressive snake I’ve encountered was the Mojave Green, though I’m not sure the 2 meter constrictor that dropped out of a tree in Panama wasn’t being aggressive in hindsight. I have cockatoos here in Thailand. If anyone has a bird who needs medical help or someone to take care of him/her I would be more than happy to assist. I am very experienced with macaws and cockatoo. I’ve used this page many times, thank you.